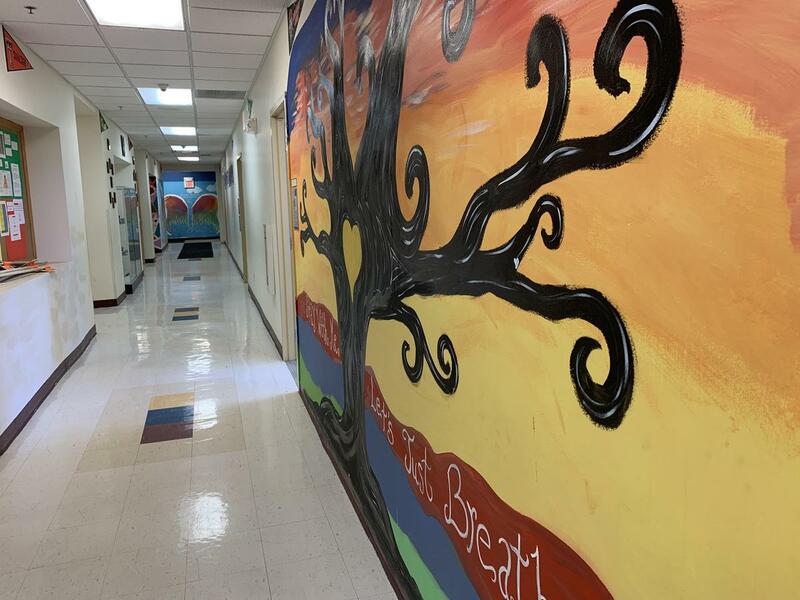 New Beginnings Family Academy is a colorful place with nearly every hallway covered in murals created by staff and students working together. Periodically, we will bring you the story behind some of our murals. This is the first in that series. 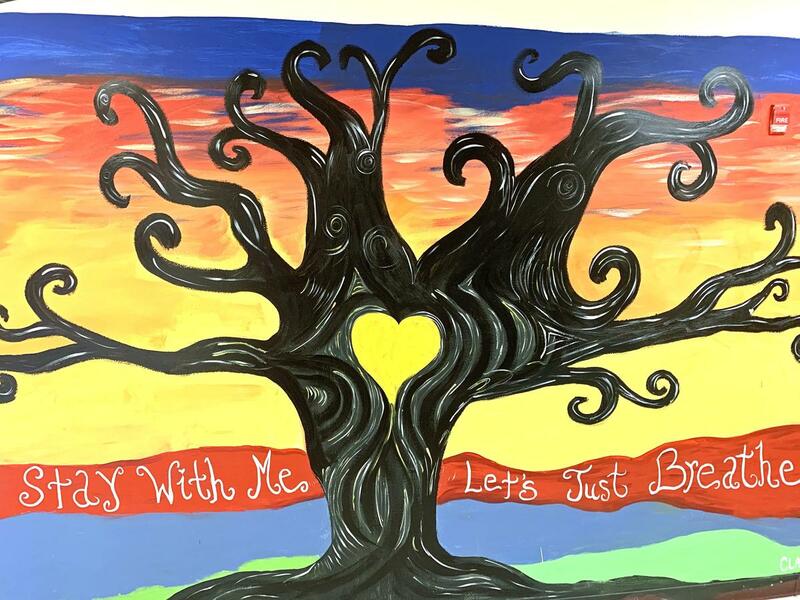 The Tree of Life: Sitting just outside the Dean of Students' office is this tree painted by now eighth-grade students Nia, Jada, Chrismarale with guidance from Art Teacher Mrs. DeVito. The students were in the seventh grade when they painted the mural in 2018. 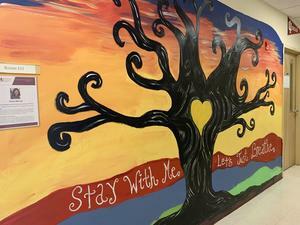 The tree is meant to be calming for students that could be having a tough day and was “commissioned” by Dean Compare.